I recently saw such an amazing example of parenting done right that I feel the need to share it here. I was hanging out at my regular comic shop, The Dreaming Comics and Games, in Seattle’s University District. Usually, I will end up hanging out for a few hours when I show up. On this particular Sunday it was slow in the store, so I was chatting away with Cory, the store manager. We always sit in a way that Cory can see the front door and greet people as they enter. A woman walked in who neither of us recognized. As is usual, Cory welcomed her to the store and asked if she needed anything. “Do you have any King Geedry figures?” she asked. Cory paused, so I spoke up. Now this mother had picked the exact right store. Aron, the store’s owner and my former roommate, is such a fan and expert on the Japanese Kaiju genre that conventions have brought him in to lead panels on the subject. So of course his store is going to have Kaiju figures. Learning this, the woman went to get her daughter. Actually she brought in three, but it was the oldest who I would put at about nine or ten years old, that was the Godzilla fan. I happened to know that there was a deluxe King Ghidorah figure in the back part of the store. That and the fact that I am actually more of a Kaiju fan than Cory led me to help him during the family’s stay in the store. The girl ended up exploring the store and pointing out all the Godzilla and Kaiju figures in the store, even noting that the Rodan figure behind the counter was Fire Rodan. Clearly she was a true fan. Her mother told me that since the girl got into Godzilla, she had started sculpting figures, and had made a Rodan figure. I told her how I loved that fandom can lead to such creative outlets. The young lady ended up spending about 20 minutes in the store with her mother. The younger siblings got bored and waited in the car and the mother would periodically check on them. In the end our young fan bought a couple of Godzilla comics and her mother got the schedule of when Aron would be in the shop so she could bring her daughter back to talk to him. The point here to me is the many things I feel this mother did right. First was simply encouraging her daughter’s interest. This interest had led to creative activities. Also the fact that she was not dismissing it or dissuading her daughter from pursuing a traditionally male interest. Next was her vetting the store prior to bringing her daughters in. She made sure it was a safe and inviting environment for her children before exposing them to it. Once she brought her daughter in, she stayed engaged with us, asking about the store’s history, our history with fandom, and our knowledge of the fandom. Finally she helped guide her daughter in making decisions about what she wanted to buy. The daughter had her own money. The mother worked with her pointing out what the budget was vs. what the price of various items were. She also reminded her daughter that items would be available later, and that Cory could special order things for her if they weren’t immediately there. In the end, she let the daughter decide to buy the comics and conduct the transaction herself. 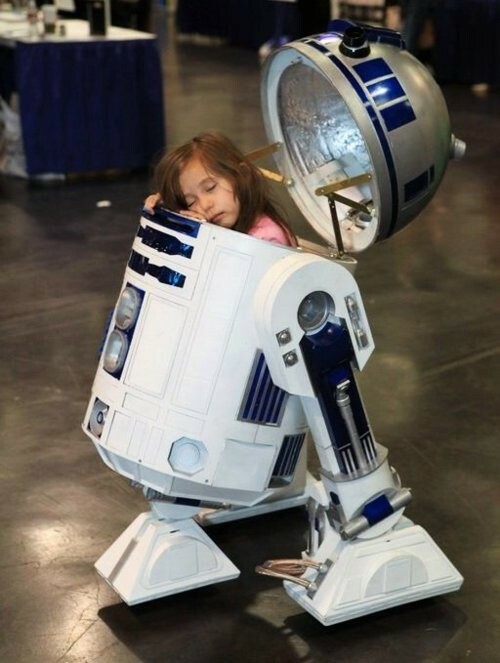 The young lady shows all the signs that she will grow up to be a member of geek culture. I am confident that thanks to her mother’s guidance, she will grow up to be a healthy and proud member of the community. 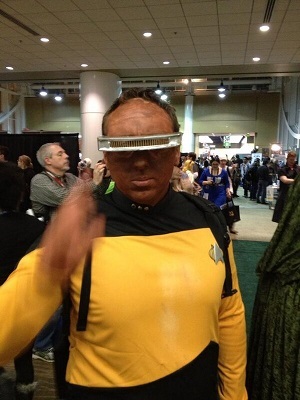 One of the most noticeable factors about this year’s Emerald City Comicon is the attendance numbers. It was a recorded breaking year of approximately 64,000 attendees, which was the maximum the Washington State Convention Center could handle. For the first time ever, the convention sold out, with all three day passes being gone about two weeks before the show, and only a handful of day passes available at the door, which were sold quickly. I heard people on the floor saying that it is now the third largest comic convention in the country. This is explosive growth for the show, which only drew 20,000 attendees in 2010. Clearly there are several factors that play into this. As the show grows it is able to attract higher caliber guests. It also benefits from a good reputation amongst pros, with many saying it is their favorite convention of the year. 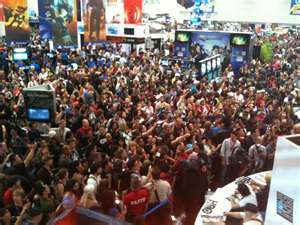 But I think another factor may be at play, and it involves San Diego Comic Con and its attendance issues. To explain this theory I first need to explain the parallel that a friend alerted me to. This came to me by way of my friend Matt. Matt carpools with me to work every day, formed the writers group I belong to, has worked with me for over a decade, and is my proof reader / editor for my articles here. He is also a ten year veteran of Burning Man. For those not in the know, Burning Man is an annual event that takes place in the Black Rock Desert in Nevada. It is an Art/Alternate culture/self-expression-driven event that requires high levels of attendee participation. It started an explosive growth in the late 1990’s that lead to it reaching a max capacity of approximately 56,000. In 2011, for the first time, it sold out before the event. The 2011 sell out included all discount tier tickets selling out in half a day. This now appears to be the norm. Many feel this is due to it catching the attention of mainstream culture. It has also left many veterans feeling disenfranchised from the event. What Matt says this has done is caused an increase in what is known as regional Burns. These are smaller Burning Man-style events that take place around the country. This started with an event in Texas called Burning Flipside, organized by Burners (the self-applied name for people who attend Burning Man) completely separate from the main organization. The idea spread, and Burners in other places formed organizations to put on their own, similar event in their area. It has even spread to other countries. They started as events that allowed Burners to have the Burning Man experience if they couldn’t make it to the main Burning Man event. Now, in the wake of increased difficulty in getting to the main event, some Burners are turning to the regional Burns as their main outlet and forgoing the main event all together. As Matt explained this too me I saw clear parallels with the comic conventions. In 2008 San Diego sold out before the show for the first time ever. The following year the event sold out months ahead of time. By 2011 the event was selling out within hours of tickets becoming available. Looking at the timeline of Emerald City, you see that it took a major jump in attendance in 2011. 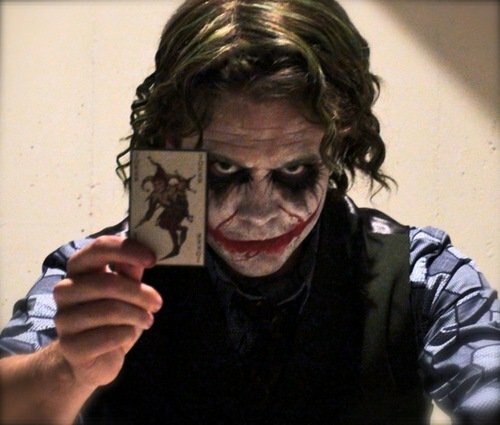 So my theory is that because it is becoming impossible for most fans to get tickets to San Diego they are turning to the other comic conventions. I looked at a few other conventions numbers, and those that I could find generally show attendance jumps around the same time. In the interest of fairness, I want to point out that I have no other data to back up my theory, such as surveys. One other thing that I have been hearing is that both fans and pros like Emerald City, as it is still focused on comics and related media, where San Diego has branched out to the point where it is really a media con focused on TV and movies, be they genre or not. This gives Emerald City and the other regional shows an advantage in reputation. If I am correct you are going to see growth at other comic cons continue. This does have another issue that needs to be considered: the fact that Emerald City itself sold out this year. Selling out a week or so before the show isn’t too bad, as it did give fans plenty of opportunity to get tickets. But what happens next year? After all, it took a couple of years before the San Diego sell outs were counted in minutes instead of months. Part of the answer is expansion. This can take two forms. The first is actual space. Right now both San Diego and Emerald City have maxed out their venues. In the case of San Diego, there is always the option of moving to another city with a bigger venue, but pressure from the city and reluctance by the convention committee has prevented that through at least 2015. Emerald City could still use space in nearby hotels if they can negotiate with them. Other than that, there are not a lot of other options for the Seattle show, as it wouldn’t make sense for them to move. On the upside, Emerald City is exploring the other expansion option, starting a secondary show. Staff from Emerald City are involved in the promotion of a sister show in Portland Oregon called Rose City Comic Con in September. Originally a separate show, Rose City has teamed up with Emerald City to help the show grow. This is a good move, as Rose City is still small but has potential. It is also far enough away from Emerald City both in distance and time of year, to offer up the convention experience without cannibalizing the Seattle show. Overall this kind of growth is good for geek culture. It shows that there is enough interest to support multiple shows and that the culture is thriving. In fact the only downside is for San Diego. As the smaller shows grow, more people will not bother with San Diego. At some point this could result in fan abandonment. While not certain by any means it could damage and even potentially kill off the show. This is also a danger that Burning man could face. Clearly the lesson here is to manage growth. A challenge when there is so much demand. I will be very curious to see what happens to all of these shows in the next year. Hermes and Hekate are tasked to find Hera’s barrette and run into complications returning Hephaestus’ anvil. The show’s main webpage can be found here. The Hermes and Hekate Road Show is an audio drama created by Ray Snyder and Genevieve Williams. It depicts the adventures of the Greek Gods Hermes and Hekate as the go on a road trip to find the stolen objects of the Gods, and perhaps save the world. Each episode will be post here as they come out. Click here for Episode 1 where the duo travel across the border to retrieve the first lost object and find an additional mystery. DC Entertainment: Trouble at the top. I’m not happy with how much I have been writing about not being happy with DC Entertainment lately. It seems every time I decide to cover them, I am complaining about something new. Just recently, we got the news that Warner Bros. has scrapped the latest Justice League movie script. The latest Wonder Woman series pilot in the same boat. On top of that, the new “52” strategy is beginning to come apart at the seams. And yet I still cover them more than Marvel, because I am still more invested in their characters, which probably makes me an outlier amongst comic book geeks. So what is going on? Why are things such a mess over there? Didn’t Warner Bros. set up DC Entertainment in order to avoid things like this? Shouldn’t DC Entertainment President Diane Nelson be able to get a handle on this? Given how things seem to be set up, the answers are in no way simple. First off, we have Diane Nelson. Diane’s area of expertise is brand management. She was brought on to help build the various intellectual properties that make up DC Comics. That alone is a tall order. But the truth is that while she is a great brand guru, she is not a film maker or a comic publisher, so her influence in these areas is limited at best. To that you need to add the way Warner Bros. is organized, with the film division having the most power. This has allowed the film division to make executive mandates that have led to many of the issues I have written about in the past. Reports are that Nelson is extremely frustrated with the current state of affairs, but has no real way to deal with it. If all of this is true, then we have to wonder who is calling the shots specifically. The answer to that is probably a lot more complicated than it seems. Nelson is a brand manager; in fact, she was the person in charge of the Harry Potter franchise at Warner Bros. When that film series was winding down, she was put in charge of the newly formed DC entertainment. This is probably not a coincidence. With the end of the enormously successful Potter franchise looming, WB clearly wanted something to replace it. 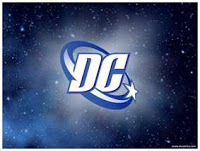 Since Marvel Studios was having unprecedented success with their films, it was natural for WB to move on the DC brands. These were established characters with a huge preexisting fan base. So Nelson moves over to DC to shepherd those brands, and has the aid of Geoff Johns, one of DC’s top writers, who moves in to the role of Chief Creative Officer. So far everything looks great. The first movie out of the gate was Green Lantern. America, a film that did take chances and was for more original. So the script was clearly the main culprit. Well, the thing about that is that two of the main writers of the script were Greg Berlanti and Marc Guggenheim. Right now, they have a TV series they created on the air. That series is Arrow, based on DC comics’ hero Green Arrow, a show that I was convinced would never work. Right now Arrow is the best superhero show that has been on TV in well over a decade, based largely on the strength of the writing. So how do these two writers so clearly screw up with horrible writing on a DC property that should have succeeded, and take another concept that should have tanked, and make it pure gold based on stellar writing? Did they take intense writing classes in the interim? I doubt it. Were they writing lazier for Green Lantern since they knew it would have big action scenes and special effects vs. the small TV budget of Arrow? Maybe, but I think there is a simpler answer. Green Lantern was DC’s first real attempt to go up against the Marvel movies, so there was a lot riding on it at the studio. My best guess is that there was a lot of executive influence on the script. Arrow, on the other hand, was an adaptation of a lesser tier hero on the CW. If it tanked, it was no big loss, so I suspect Berlanti and Guggenheim were given a lot of free reign. If so, I hope that lasts now that Arrow has been renewed for a second season. The point is that from what we know, the Warner Bros. structure is set up so that producers and movie executives hold the real power, and can dictate what they want. So why did this not affect Marvel over at Disney? Simply put, Marvel was already rolling when Disney bought them. But even then, it could have been a mess, except that someone had the good sense to put Kevin Feige in charge of Marvel Studios. Feige has a clear vision of how the Marvel movies should work, and makes sure that the producers and directors he hires understand this vision and adhere to it. This has allowed the cohesive development of the Marvel Cinematic Universe. When Disney bought Marvel, they took the view of “It’s working so let’s not mess with it.” This led them to having the highest grossing movie of last year and the third highest of all time. DC has to contend with what I like to call “too many mad scientists and not enough hunchbacks.” And worst is that WB has seen the success that Marvel has, and wants to compete with it. Unfortunately, they have not found a good counterpart to Feige, so there is no cohesive vision. This should be Nelson, but again, this is not where her strengths appear to lay; and from all appearances she is not being given that kind of authority. And then we have the comic books themselves. This should be a no-brainer. The books are the source of the intellectual properties, and are something that should be working well. 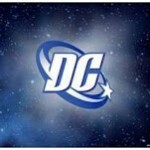 But right now is a hard time for the industry as a whole, and DC Comics does not appear to be doing well. Right now sales look fairly good, but there is a bit of smoke and mirrors with that. When the “New 52” launched in 2011 it was a great sales boost. However, for many books, those sales did not last. When a book hit a low selling point, usually dropping below 18,000 orders a month, it would be canceled, and a new series would take its place. Since you had new series, they would have good initial sales. This would boost the line and keep numbers up. The problem is that the new series are not doing well and have quicker reader drop off, so you have a higher number of books struggling. Add to this a problem we have discussed before – DC editorial is not on top of its game. You have frequent creative team shifts and last-minute mandated changes, leading to poor issues. You also have mandated story elements designed to garner wide spread attention, like the Superman/Wonder Woman romance, which is not well-written since there was no organic growth to it. If that weren’t enough there is increasing perception that Dan DiDio, Co-Publisher with Jim Lee, is a poor leader and hostile towards fans, and you have a recipe for a bad work environment. I’ll be honest, I don’t see that happening any time soon. But one can hope.